Medial professional standards, clinical governance, medical staffing, medical education training and development, research, development and innovation, clinical strategy development, clinical liaison with external bodies, clinical administration systems. David, who trained in London and spent two and a half years in New Zealand, undertook his PhD at the University of Birmingham looking at immune mechanisms in rheumatoid arthritis and then took up a consultant rheumatology position at our organisation in 2000. 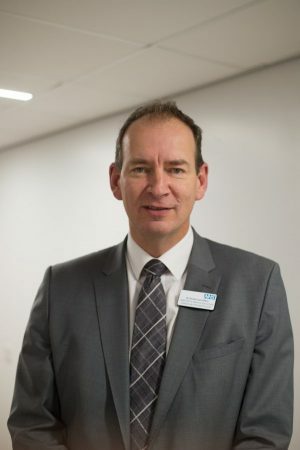 Since then, he has helped to develop the service which is the clinical academic centre for rheumatology in Birmingham, with a strong research base for arthritis and lupus, as well as providing care for a broad range of musculoskeletal conditions to local residents. David’s clinical work in vasculitis means SWBH is recognised as a regional centre for vasculitis and he contributes to the national centre for Behcet’s disease. Dr Carruthers also has a passion for research and education.